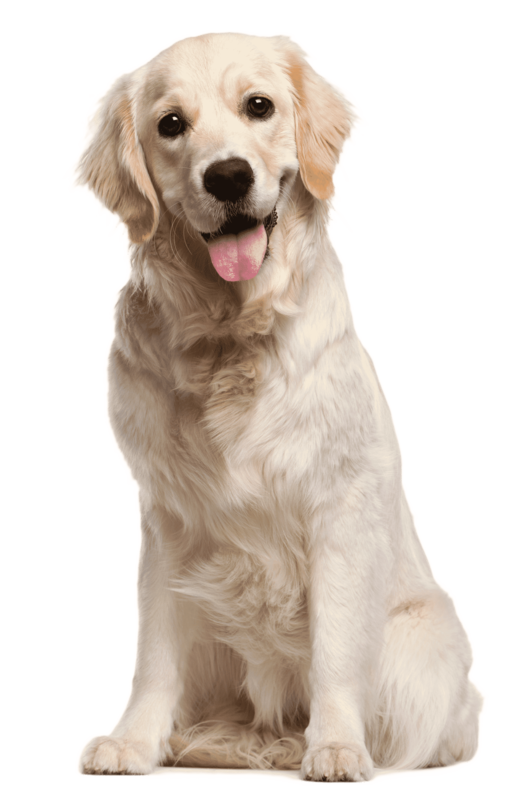 We doubt most puppies have experienced anything like our grain free Gourmet Chicken, Turkey, Salmon and Country Veg. With lots of fresh meat they’re definitely in for a treat. Ok, that might have rhymed, but don’t take for granted the extra health benefits provided by our gourmet puppy food. 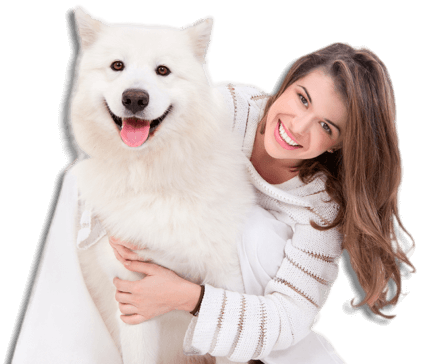 What’s in it for you and your Puppy? Provides lots of minerals and vitamins to start their life the right way. Full of really good things like Glucosamine, Chondroitin & MSM for healthy growth development. No smelly, yukky stools on this diet as it’s really sensitive on digestion! With high meat content (including a minimum of 26% fresh meat) and no grains whatsoever your puppy is in for a treat. Fret not, it isn’t just about the taste experience, which is great by the way. It’s also about helping them develop in to healthy strong dogs. With excellent ingredients you also get added health benefits! We’ve totally covered their brain, bone and visual development thanks to the vitamin and mineral content of our grain free puppy food. Because it’s both grain free and hypoallergenic your puppy will thrive without the worry of bad reactions, sensitivities or runny stools. 60% meat including chicken, turkey and salmon taste great to puppies. Even better, we’ve included a minimum of 26% fresh meat to really deliver a taste experience you need to witness. 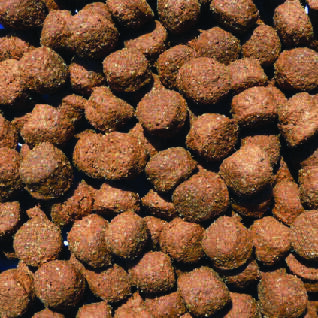 Optimum levels of Omega 3 & 6 fish oils transform their coat and help set them up for life. They also help in the development of brain visual function. We’ve added Glucosamine, Chondroitin & MSM to help them develop in to big strong dogs. With known benefits to bone and cartilage development you can stop worrying whether or not your providing the best start to their life. A human quality protein source that dogs will go out of their way for. Dogs love the taste of oily fish. And this food has more of it than normal dog foods. Our shar pei puppy is thriving I’ve also noticed his eyes are clearer and he has no tear stains now. He loves his food and we have a clean bowl every time. We found Growling Tums after searching for solutions to our puppy’s upset tummy problems. She had always had runny stools and we were quite concerned. However after one week on Growling Tums she is right as rain and I have never wanted to talk about nice poos so much as I do now! I wholeheartedly recommend this product. My 7 month old whippet enjoys this food and has had a much more settled tummy since swapping to it. I am pleased to have found a good, grain free food which is both healthy and tasty. My 5 month old Wheaten terrier loves this food. Vala my 5 month Dobermann puppy is thriving and loves her food she never leaves a drop. Her coat is gleaming and she gets comments on how good she looks when we are out walks. She had a sensitive tummy with other premium dog foods that she was weaned on to as a small pup but with the grain free growling tums her stools are as they should be now and we have had no more tummy problems. We have a happy outgoing pup and i would have no hesitation recommending growling tums food . 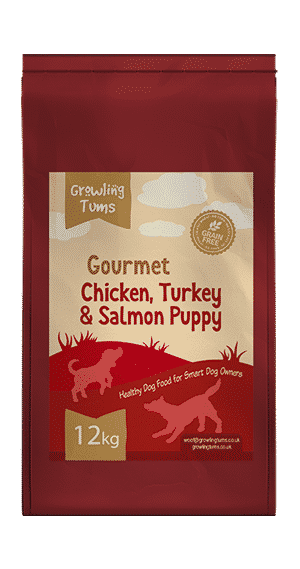 At last found the perfect food for my 8month golden doodle,i tried him on growling tums puppy one but we still had runny poops, but this food had such good ingredients I really didn’t wasn’t him to come off this food as our 3yr old doodle has thrived on this food. So I scrolled down the list & found the Grain Free puppy with glucosamine in & all the vitamins in as what he needs as he’s a large breed puppy. At last thankyou to growling tums for the perfect food for my doodle no more runny poops & no more scratching his ears & biting his paws would definitely recommend this food. Thankyou Growling Tums my doodle will be staying on this food ??????? My 10 month old french bulldog gets a lot of wind after everything he eats. Which is not nice for him and for me because it gets very smelly. This is the third food I try him on and bingo, no more smellies, no more an upset tummy. He likes it he grows very well on it and his coat shines. He has tons of energy and a lot of muscle. And hardly any stool so it does every thing they promise. I also have a pack of 6 English mastiffs and as soon I am through with their other food I will want to try them on this brand if they have something for giant breeds. Thank you growling tums for making life so much better for my little frenchie.